I didn't believe spiritual warfare was real until I was in it. It is defined as the Christian concept of fighting against the work of preternatural evil forces. It is based on the biblical belief in evil spirits, or demons, that are said to intervene in human affairs in various ways. It was hard to recognize. It felt like I was being internally attacked, living with a bully inside my head. I accepted Christ as my savior when I was 15 years old. Living in a world filled with such pain and suffering yet beauty and love, I had to believe there was something greater out there. In the beginning stages of my christianity, I felt a spiritual elation. I felt my life was perfect with Christ, worshiping every second of the day. I was on a spiritual high. Many "baby christians" describe feeling the same way. My new found relationship with God was amazing in every way. This feeling didn't last too long for me. I noticed every step I took to further strengthen my relationship was combated with something horrible. When I was 17, I was baptized as a born-again Christian the summer before my senior year of high school. Everything felt perfect. I had publicly shown my love for God in the most symbolic way possible. 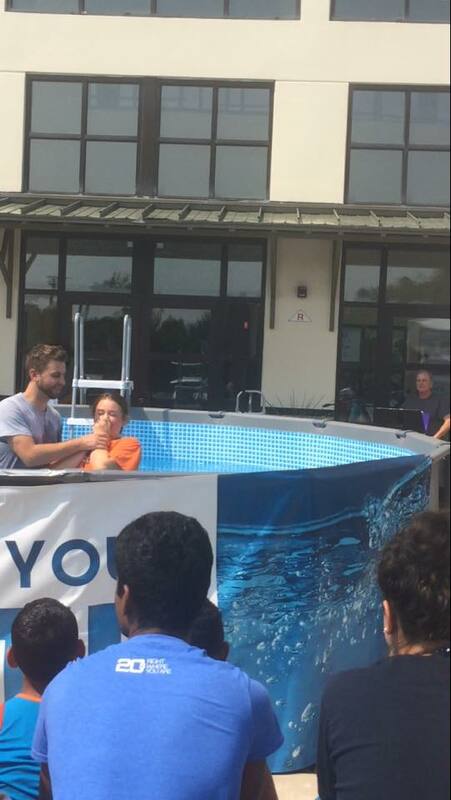 Soon after my baptism, I noticed my life take a turn. I was diagnosed with Anorexia and Bulimia Nervosa. Going into my senior year, my eating disorder felt like it was taking over my whole life. I began struggling more and more. I prayed and prayed, but heard nothing in return. I felt angry with God. I called out to him, "I just publicly gave my life to you, why is this happening to me. Why can't I hear you?" In my confusion, I ended up reaching out to a friend who was also a follower of Christ. I told her my situation and how I felt my life was falling apart. She responded confidently: I was undergoing spiritual attack. She lead me to a verse that talks about this thing called spiritual warfare. I was astounded. This whole time I had no idea that Satan was using the stronghold of my eating disorder to drive me away from God. Although, I now knew what this feeling was, It didn't make things easier. I continued to call out to God. I continued to pray. As the summer went on, my eating disorder kept getting worse and worse. I got angrier and more sad by the day. The enemy took my faith and was using my flaws against my relationship with him. When I left for college, I allowed my eating disorder to spiral. I hated change, and this was the biggest change yet. Instead of leaning on God, I leaned on my eating disorder. Soon enough, I was dying; Physically, and mentally. The enemy was overjoyed. I used my eating disorder as a false Idol in my life. I worshiped it and put all my happiness and faith in that, instead of my loving Heavenly Father. As I made my way back to my dorm one October day, I felt the overwhelming message from God, "This is enough Katie. You need to get help." I called my supports almost immediately, and later that week I medically withdrew from my University and was admitted to an eating disorder treatment center. As all of this was happening so quickly, I felt thoughts in my head. Satan was telling me: "What are you doing? You don't need help, you aren't sick enough. If you tell your family you're fine, you can just go back to school and continue losing weight. When you're skinny, all your problems will go away. This was quickly combatted by Christ telling me: "Katie, You know this is killing you. You're doing the right thing. I want to be the only God in your life. I will guide you and fight this." It sounds crazy, believe me, I know. But I also know Im not the only one that has experienced this kind of attacks. I am writing this letter now as I am stepping down to a lower level of care in treatment. I have been fighting and going to treatment 41 hours a week for over 3 months. I am now stepping down to just 9 hours a week. I have made so much progress; Spiritually, mentally and physically. This past week for me had been the hardest yet since I started treatment. My self deprecating thoughts became louder and I wondered why. I thought, "I am doing so well. Why do I feel so sad?" I felt the enemy scrambling to bring me down yet again. He hates that the LORD had carried me through this. I am becoming FREE from this prison that Satan has captivated me in. As I was alone with my thoughts in the car, it dawned on me again. I am under spiritual attack. I am beating my eating disorder with my God of LOVE right by my side. I don't feel ugly all the time. I don't feel fat all the time. The enemy will bring me down NO MORE. My God is a God of righteousness, passion and unfailing love. I am standing firm in that truth. I felt compelled to write this open letter to anyone feeling under attack. I wanted to share my story. It is not GOD "cursing you" with the struggles you're going through. It is the enemy trying to bring you and your life down. Fill your mind with the truth of the word and arm yourself with the armor of GOD.